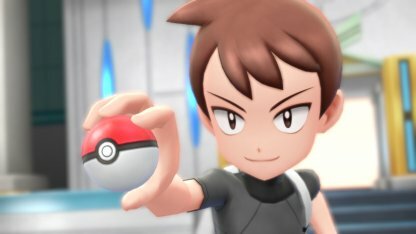 Read this Pokemon Let's Go Pikachu / Eevee guide & walkthrough on how to encounter & beat Coach Trainer Morimoto, his Pokemon lineup, battle tips & weaknesses! Check Out What To Do After End Game! In order to challenge Morimoto, you need to be the Pokemon League Champion & enter the Hall of Fame. 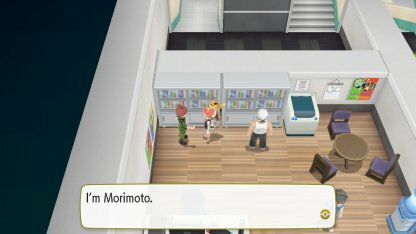 Coach Trainer Morimoto can be found at the top left corner of the office located on 3F Celadon Condominiums in Celadon City. Morimoto's Pokemon range covers Normal, Electric, Fire, Water, Dragon, Flying, and Fighting. If you use the same lineup you used to get into the Hall of Fame, there's little chance of you losing! Mewtwo Mewtwo can learn a wide range of moves, especially via TM, and will be a powerful addition to your team. Dragonite Dragon moves will be effective against the Dragonite. 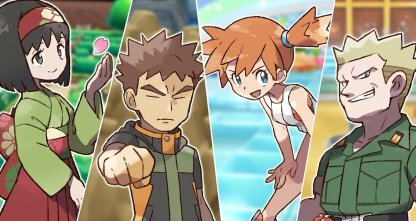 Thunder Punch and Aqua Jet will be effective against Vaporeon and Flareon respectively. 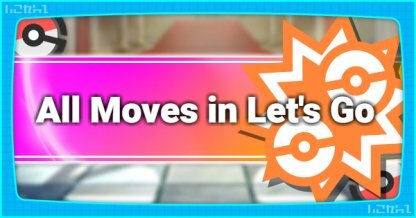 Charizard Charizard being also Flying Type is effective against Machamp since it's Earthquake attack will be ineffective. 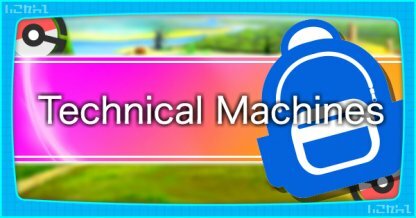 Machamp Bring a Machamp to beat Kangaskhan which is weak to Fighting Type moves. 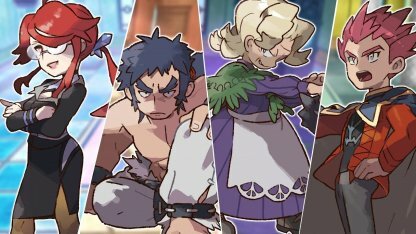 Golem A Golem with a combination of Rock and Ground attacks will be effective against Jolteon, Flareon, and Dragonite. 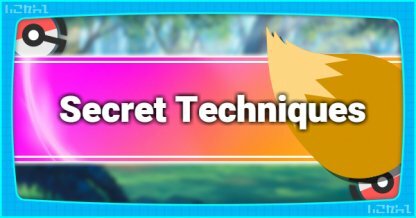 Articuno Articuno's Ice attacks will be super effective against Dragonite while the Flying attacks will work well against Machamp. Zapdos Zapdos' powerful Electric attacks will make short work of Vaporeon while Flying attacks will be effective against Machamp. Lapras Lapras' Water moves can be used to take out Flareon while Ice moves will make short work of Dragonite. Partner Pokemon can be effective depending on moves they know when going into battle. 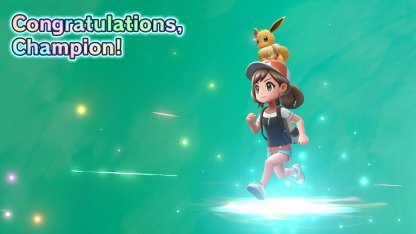 Pikachu Pikachu can use its Electric moves against Vaporeon while Splishy Splash will work well against Flareon. Eevee Make sure that Eevee knows Sparkly Swirl to use against Dragonite and Machamp. 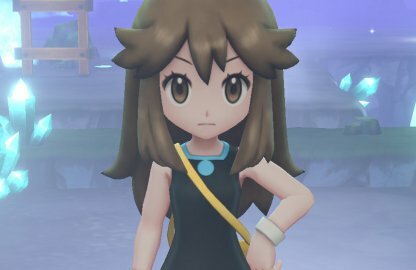 Buzzy Buzz to use against Vaporeon, and Bouncy Bubble to counter Flareon. 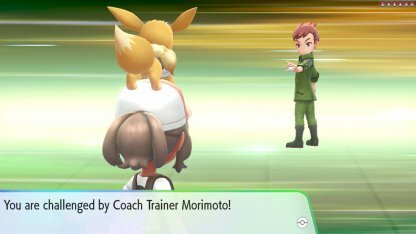 Morimoto's claim of being the Strongest Coach Trainer is no joke! 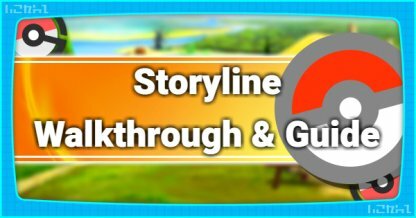 Make sure that your Pokemon's level is at par with his before challenging him! Check Out How To Level Up Faster! Morimoto is based on Shigeki Morimoto, a veteran game designer in Game Freak and the creator of Mew! 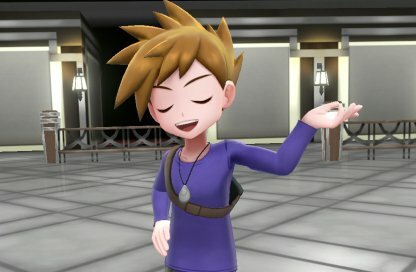 He first appeared as an NPC Trainer in Black and White and again in Sun and Moon.